Wow. Gorgeous tones for a captivating street scene. 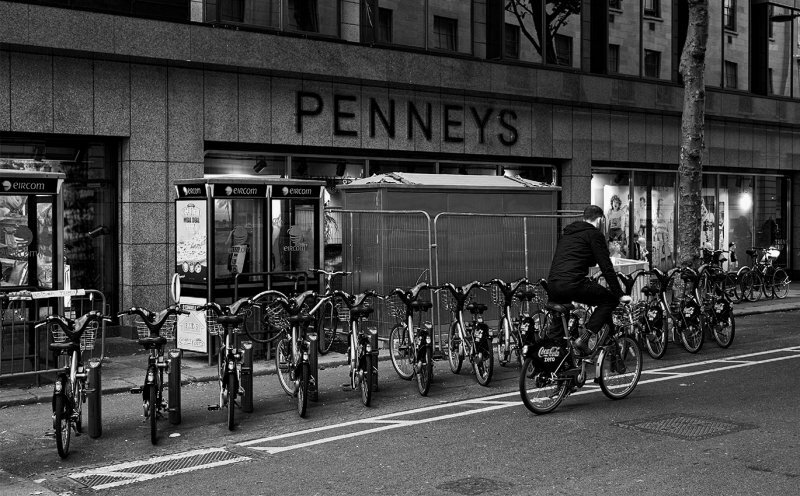 Really like the tones, the row of bikes and the man riding by. Nice with the reflections at the top. "V"